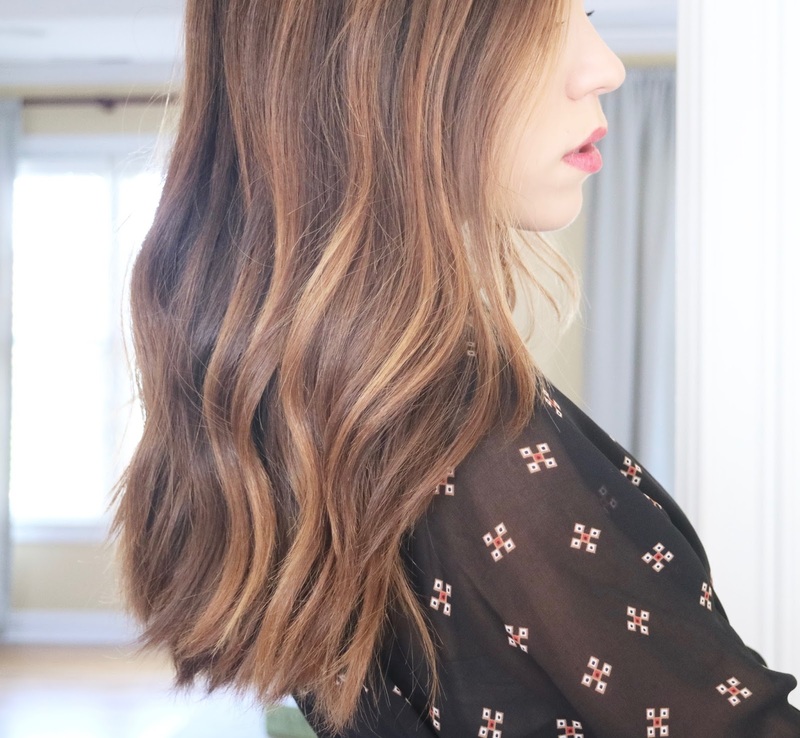 Last week I visited a new salon that was recommended to me in Westport, CT. It's called PIA Personal Image Artist, and I had heard wonderful things of the owner and head artist Pia. So, not having had my hair colored professionally in years (and I mean YEARS) I trusted myself in her hands and took the balayage plunge. I have always loved the look of subtle, face framing, and natural looking highlights that require little maintenance and that's exactly what Pia gave me. I'll admit I have had a few bad experiences with colorists in Connecticut in the past, so I can't tell you how amazing it was to find someone like Pia so close to home. She took her time to hand paint the highlights in different tones to give the look of natural caramel highlights and and listened to my wishes, making them come true. Pia then toned my hair to cut brassiness and create a healthy, natural color that I am thrilled with. She was also a wealth of information and gave me product recommendations and usage techniques that I've been using since my visit. I couldn't be more happy with my experience and highly recommend a visit to her chic and very personal salon if you are nearby - or even if you're not! Visit their website here to make an appointment. Since my color change, I've also rotated my daily products around quite a bit. 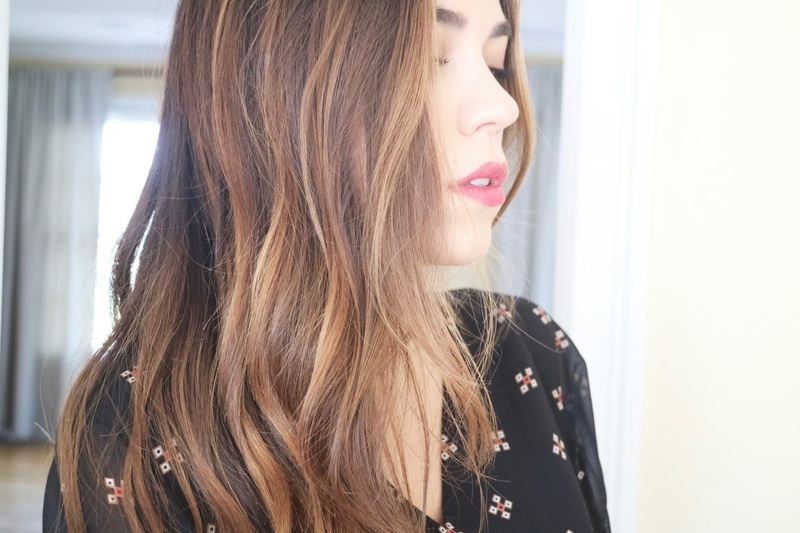 As you know, I favor the 'beachy waves' look above all else, so when Pia used the Oribe Apres Beach Wave Spray prior to using a curling iron I knew I'd have to start doing the same. I love the texture and hold it gives to the hair, and she also mentioned that it provides a necessary barrier between the hair and the heat. 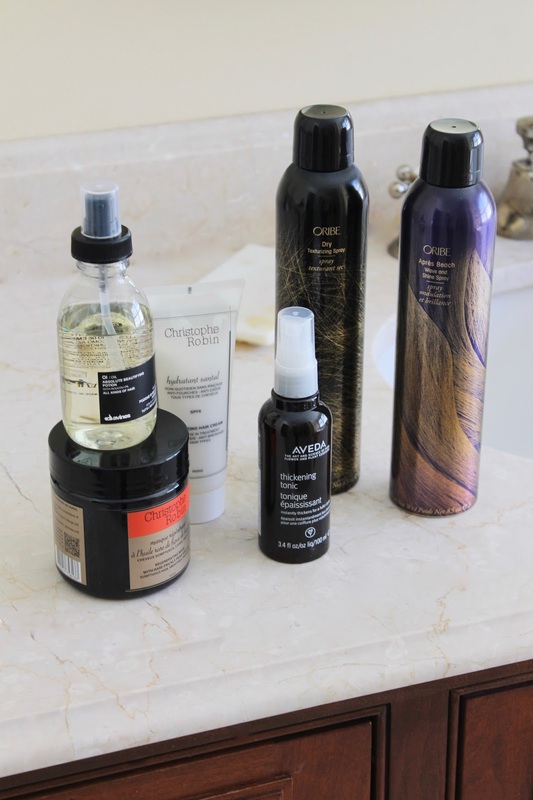 I've also been using my trusty Oribe Dry Texturizing Spray to keep the texture going and to add a bit of volume between shampoos. When I blow out my hair, I rely on the Aveda Thickening Tonic for extra oomph - because even with thick hair I need the root lift. 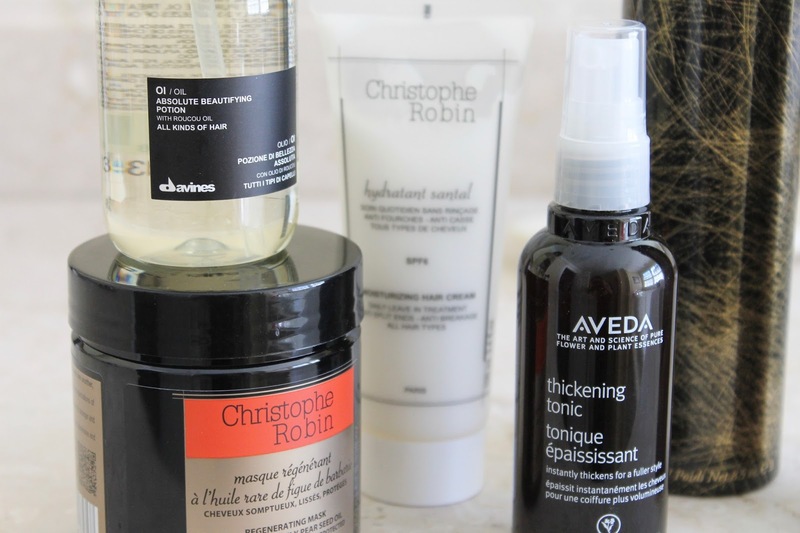 For hydration and split-end repair I've been using the amazing Christophe Robin Regenerating Mask weekly, the Davines Oi Oil when my hair is still wet, and the Christophe Robin Moisturizing Hair Cream to nourish the ends and add a bit of pieciness. 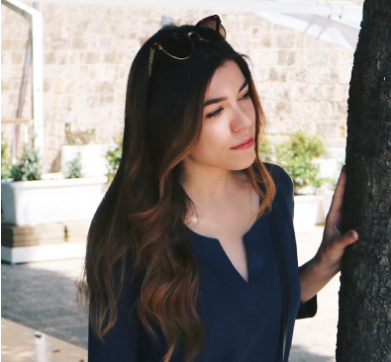 Have you tried balayage before? 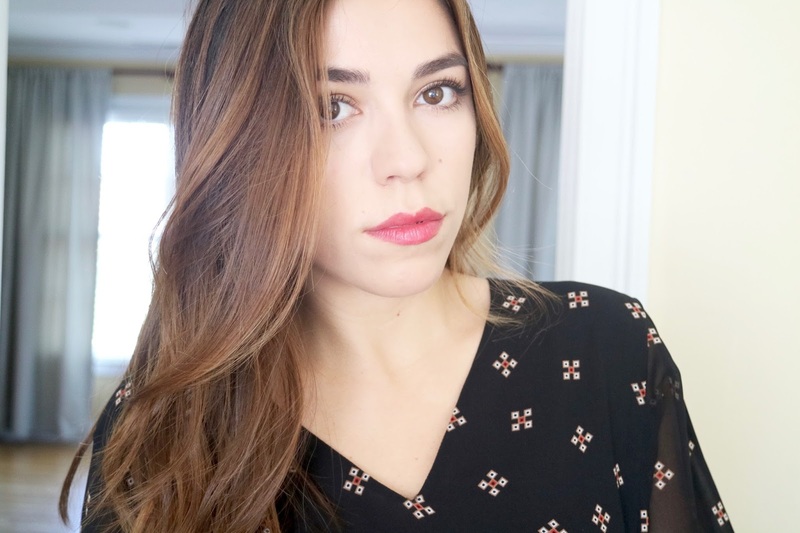 What are your favorite products for colored hair?